SENEGAL: Staring out to sea on a flawlessly sunny day, underwater archaeologist Ibrahima Thiaw visualises three shipwrecks once packed with slaves that now lie somewhere beneath Senegal’s Atlantic waves. 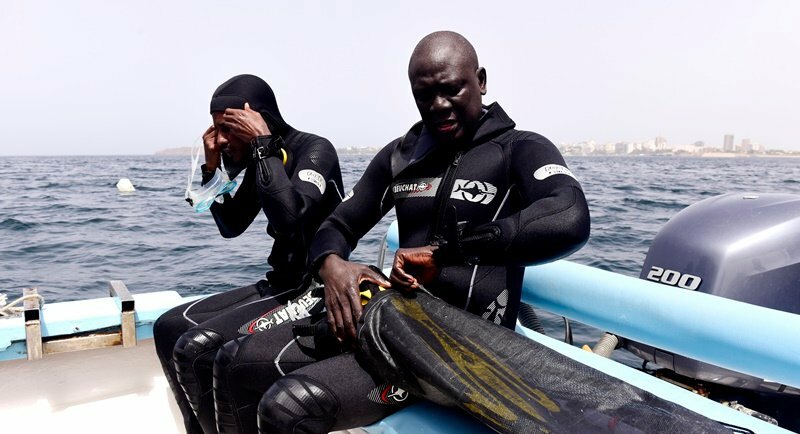 Thiaw has spent years scouring the seabed off the island of Goree, once a west African slaving post, never losing hope of locating the elusive vessels with a small group of graduate students from Dakar’s Cheikh Anta Diop University. Goree was the largest slave-trading centre on the African coast between the 15th and 19th century, according to the UN’s cultural agency Unesco, and Thiaw believes his mission has a moral purpose: to heal the open wounds that slavery has left on the continent. “This is not just for the fun of research or scholarship. It touches us and our humanity and I think that slavery in its afterlife still has huge scars on our modern society,” he said, pulling on a wetsuit and rubber boots for the day's first dive. “The Atlantic slave trade was the foundation of our modernity, so this is a history for all mankind,” he added, referring to the so-called “Triangular Trade” of human labour for consumer goods between Africa, the Americas and Europe. After making final checks on the magnetometer that will run up and down a painstakingly designated strip of seabed for traces of wreckage, Thiaw disappears under the surface of the dark green waves. African nations affected by the slave trade have never fully come to terms with it, Thiaw believes, and even today in countries like Senegal, a caste of people still refer to themselves as slaves. The horrors of the so-called Middle Passage, or journey across the Atlantic, not only industrialised the trade of people but ripped entire societies from their roots. “The umbilical cord between Africa and its diaspora was broken and in the ocean (slaves) were being seasoned to be other people, to adapt to other conditions,” he notes. Thiaw, who originates from a rural area of Senegal but went on to study in the United States, had become known for his research into slaves’ living conditions on Goree island when he was approached three years ago by the US National Park Service and National Museum of African American History and Culture to find a west African base for their “Slave Wrecks” project. They offered dive training, equipment and expertise and had already helped establish similar dive sites in Mozambique and South Africa, with one historic success. Artifacts, including shackles and ballasts from the Sao Jose Paquete de Africa, a Portuguese slave vessel that sank in 1794 with more than 200 slaves on board, were dredged up off the coast of Cape Town in 2015. Around 1,000 slave shipwrecks are believed to dot the seabed between Africa and the Americas, according to “Slave Wrecks” researchers, but few have been found. The trio of wrecks Thiaw seeks – the Nanette, the Bonne Amitie and the Racehorse – all disappeared off Goree in the 18th century, taking with them crucial evidence of how enslaved Africans were carried across the harrowing Middle Passage. The key is building a team of Senegalese archaeological divers who will dedicate themselves to the task, as some of his students graduate and move on. The overwhelming majority of slave ships were re-purposed and simply rotted away after abolition, meaning the slave shipwrecks preserved by the sea will provide precious clues. Thiaw complains that there is a lack of interest within Senegal for his work, especially at the institutional level where, he said, there was “very little funding for research”. Discrimination remains a problem in the country, with some people still referred to as slaves using the word “jaam” in the country’s majority Wolof language. Senegal’s past lies somewhere on the seabed between Dakar and Goree, but perhaps also its future. “We know they are there,” Thiaw said.